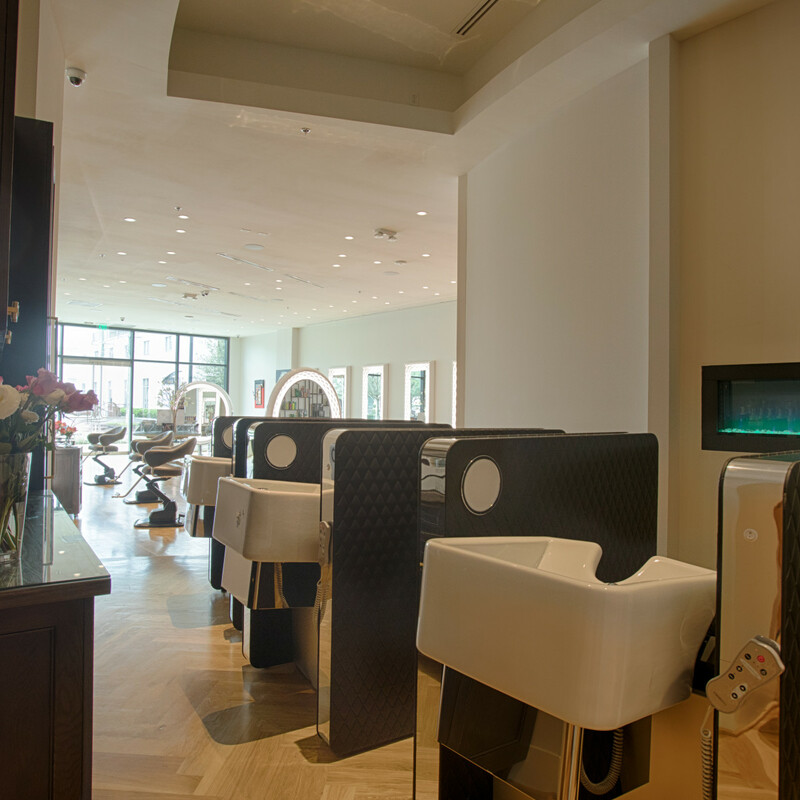 There's nothing quite like treating yourself to a cutting-edge haircut or relaxing facial, but it's rare to find a place you can escape to for a full day of beauty that will also help make sure you can replicate the results yourself at home. 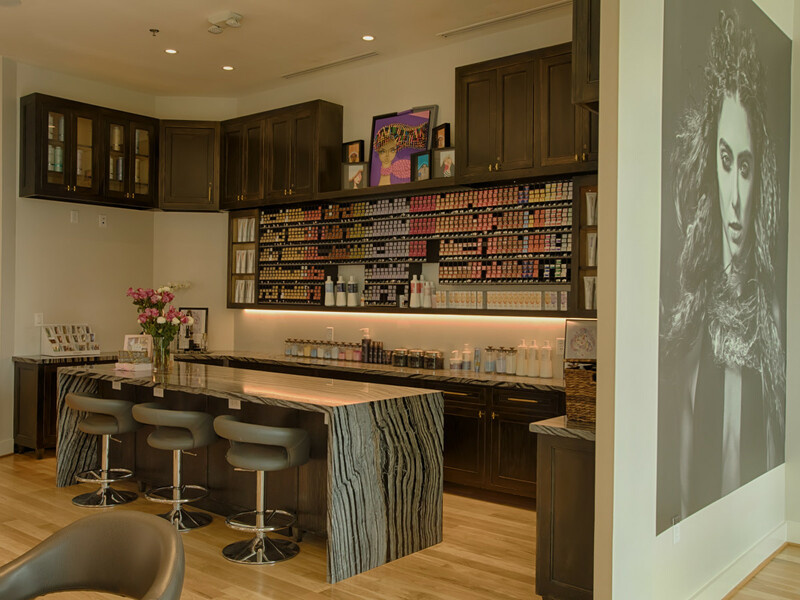 The newly opened Atelier Isabelle Rose, inside the luxurious 3300 Kirby multi-use complex, is dedicated to reinventing the spa-salon experience. 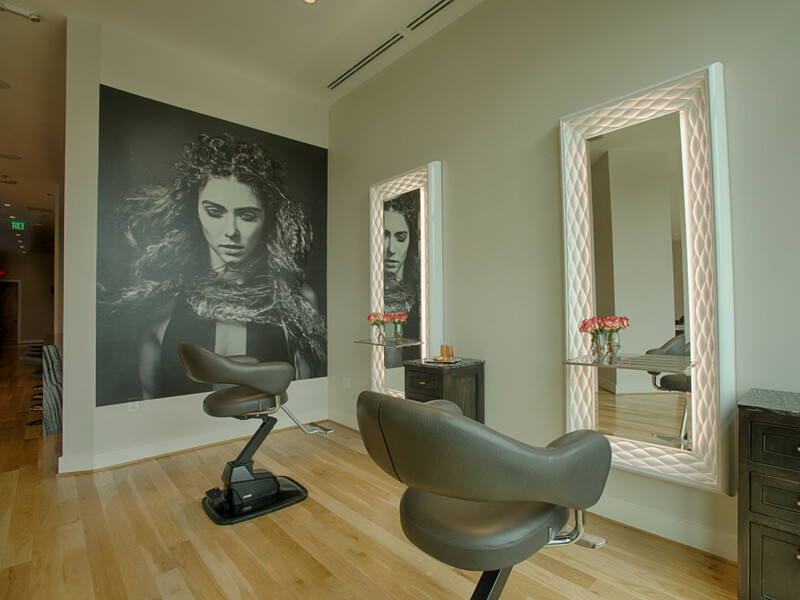 Founders Rian LaFleur and Yianna Samartzis crafted a stunning space that's outfitted with 3-D artwork and LED-lit mirrors. 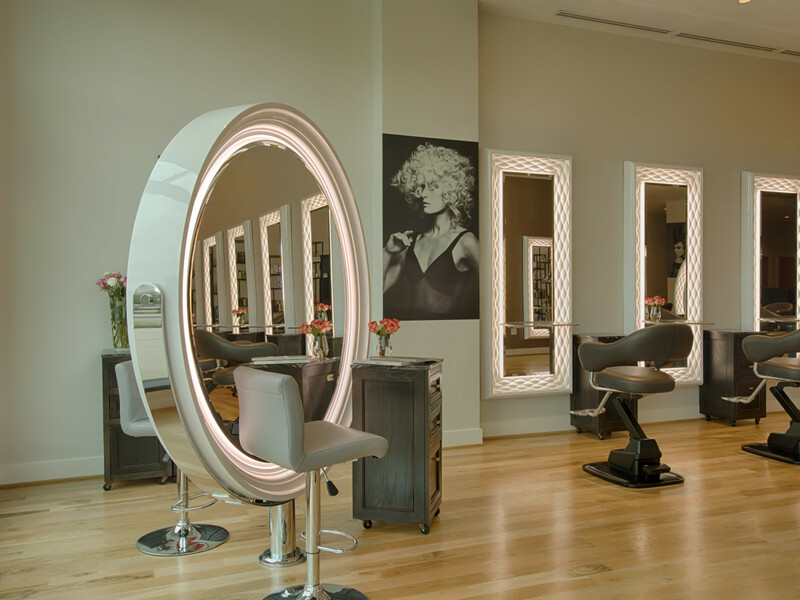 Most stylists are trained in both hair and makeup (and in multicultural styles), and are constantly undergoing training to keep their skills fine-tuned. 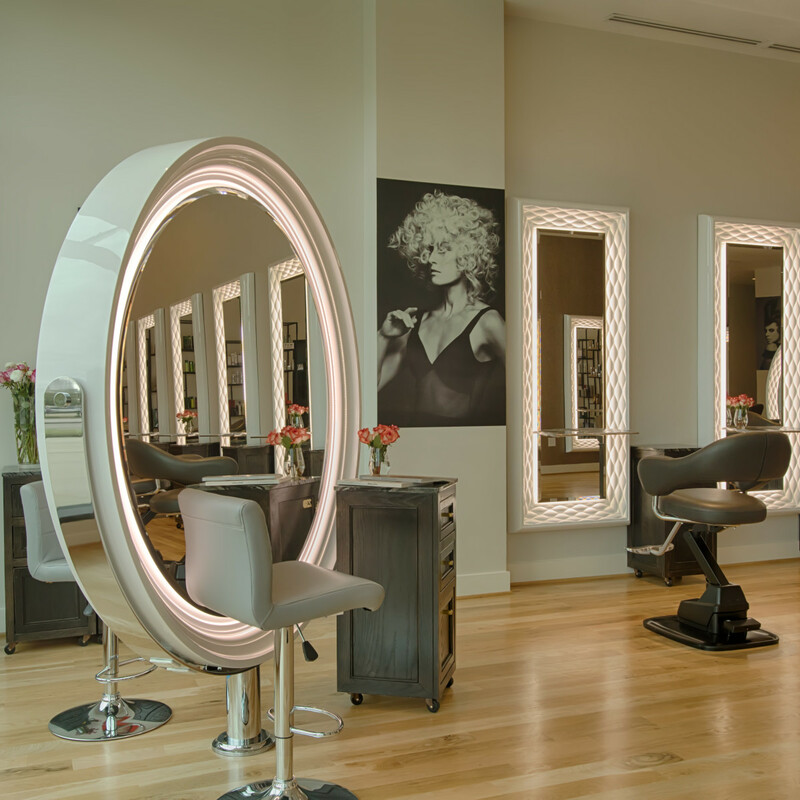 Education is the cornerstone of Atelier Isabelle Rose, which in addition to on-staff educators also boasts a Wella Design Team Artist (Anna Holaday) and LaFleur himself, who has been a Wella brand educator, traveling and teaching in salons across the country, for the past five years. As you enter the bright, open space, you are greeted by a concierge specialist who will connect you with your artist/s for the day. 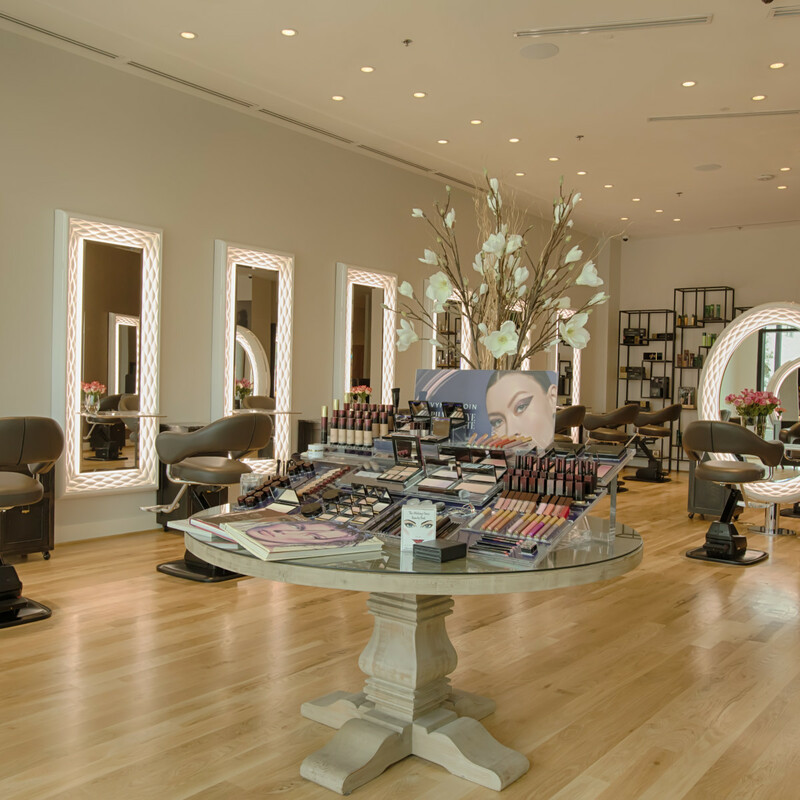 Immediately to your left is the 82-inch Gamma & Bross dual-sided make-up mirror that anchors the full collection of Kevyn Aucoin makeup, where you can get everything from a quick touch-up to a full face of glamour before a night out. 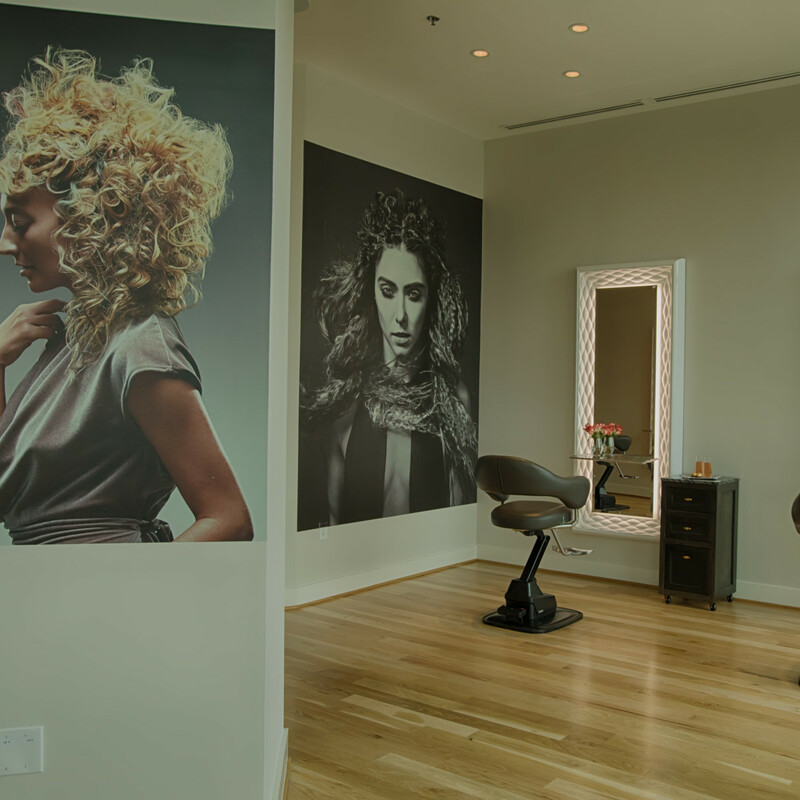 At the 18 artist stations, you'll find back-lit, full-length mirrors; custom granite-topped cabinetry; and supple, electric leather styling chairs by Takara Belmont. 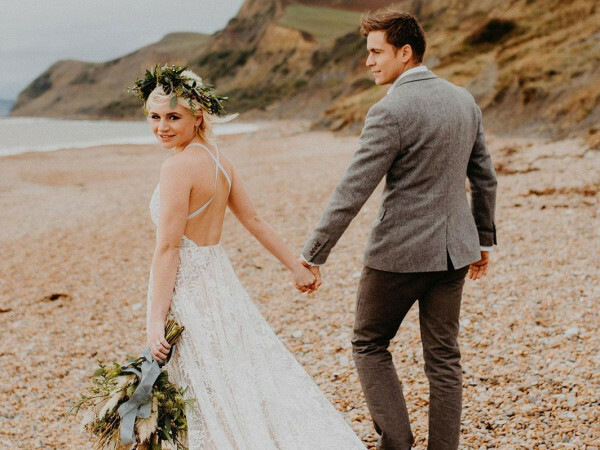 After changing into a custom kimono you'll have a thorough consultation with your artist, who will map out the perfect shampoo and conditioner regimen to keep your tresses looking luxurious. 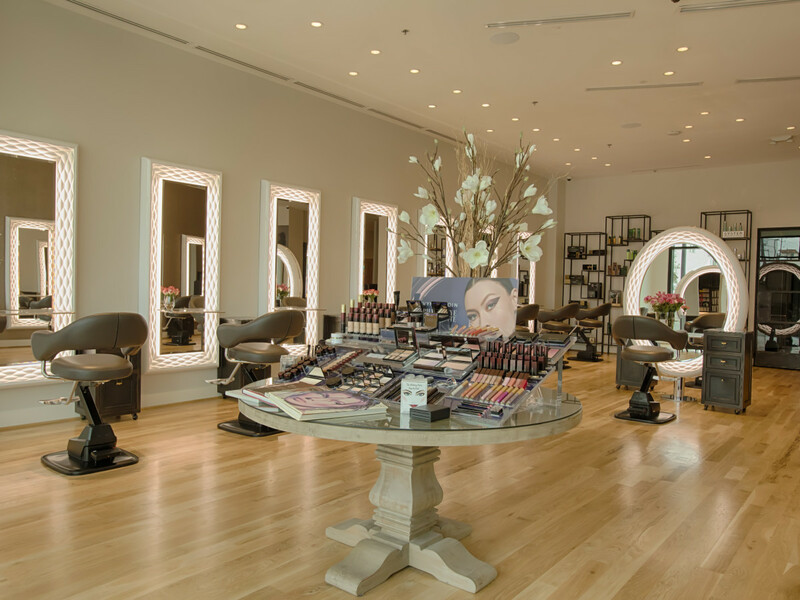 At the very back of the main styling floor, you'll find custom-built retail and display shelves stocked with an array of Coty House of Beauty products, including System Professional, Sebastian, GHD, Nioxin, and Wella. Your next stop is the private shampoo suite. A color-changing fireplace and a Silver Wave granite feature wall enhance the mood, while the chairs themselves stretch out to a fully horizontal position — and also have both vibration and air massage options — making the experience akin to being in a first-class airline suite. 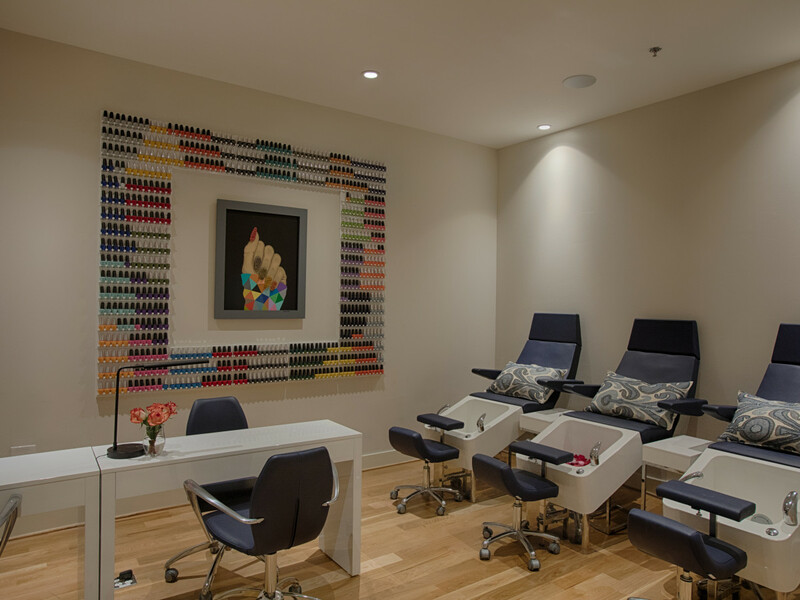 In the Atelier’s spa, two private suites are reserved for massages, facials (using Société all-natural plant-based products), lash services, and more, while the next room contains a OPI nail polish installation and exquisite Gamma & Bross pedicure chairs. These throne-style chairs are covered in a soft, Mediterranean blue leather and feature the same vibration and air massages as the shampoo suite chairs. Fun snacks displayed in beautiful glass jars comprise the candy bar, and lattes, cappuccino, rosé, and Champagne help you feel whisked away from everyday life. 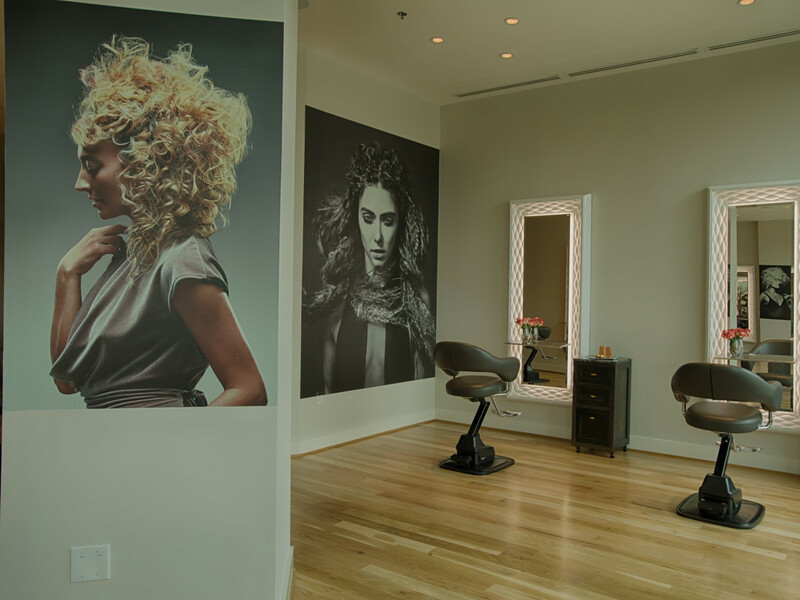 The custom color bar is a 25-foot wall of Wella color, creating an interactive experience as guests are involved in the formulating and mixing of their color. 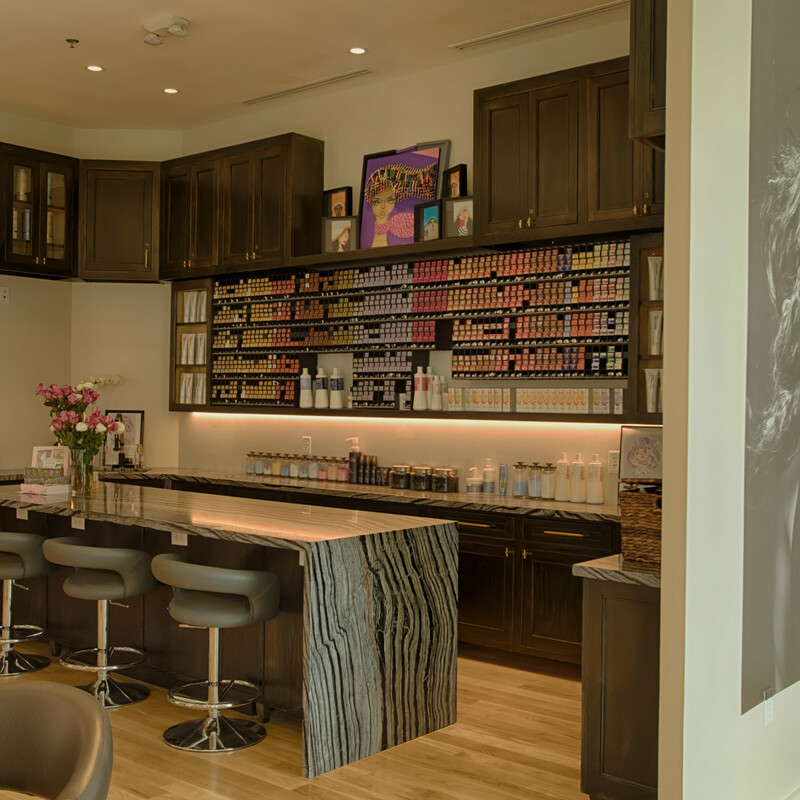 It is anchored by an 18-foot granite waterfall counter where guests can work, snack, or just relax while their custom color is processing. And to document your new look, there's a dedicated step-and-repeat wall covered in cork wallpaper to serve as the perfect neutral background. 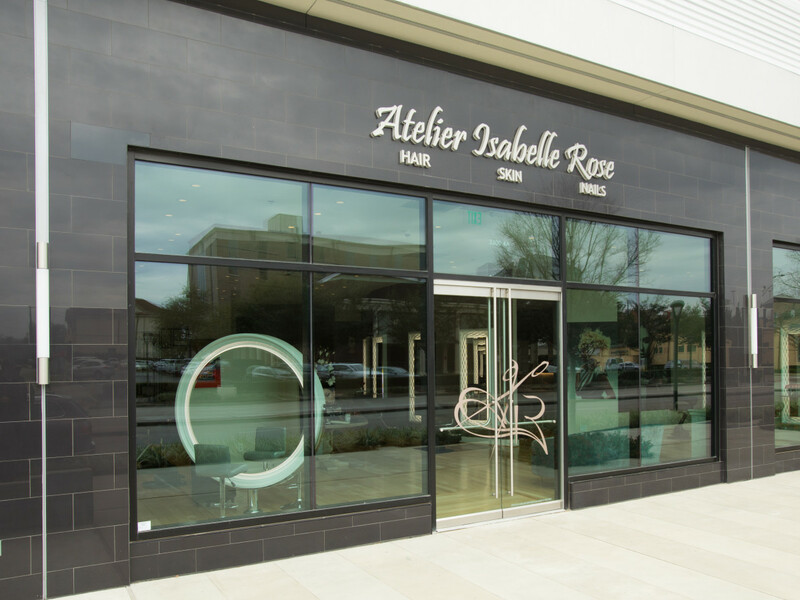 Not only is Atelier Isabelle Rose beautiful on the outside, but it's in a LEED certified building that's dedicated to reducing carbon emissions, creating better water efficiency, generating less waste, and supporting overall human health. 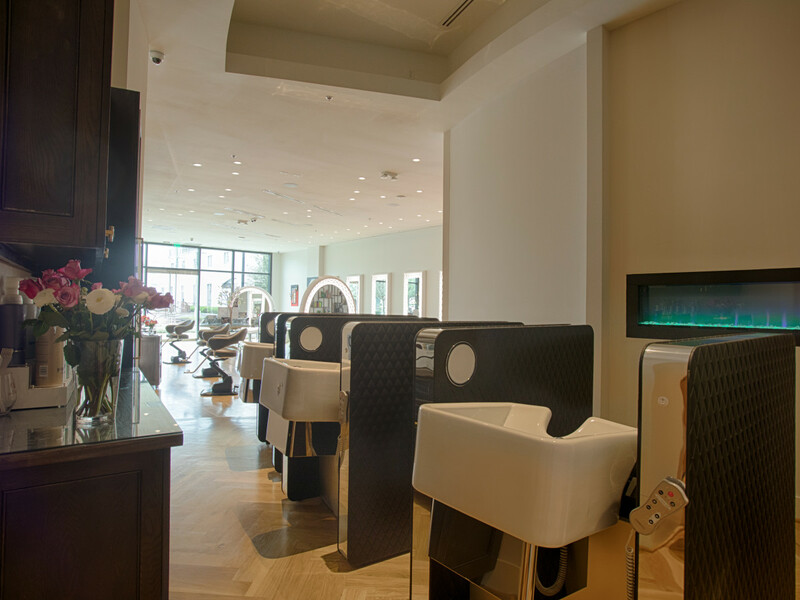 Therefore, all materials and equipment in the salon must meet stringent environmental requirements. 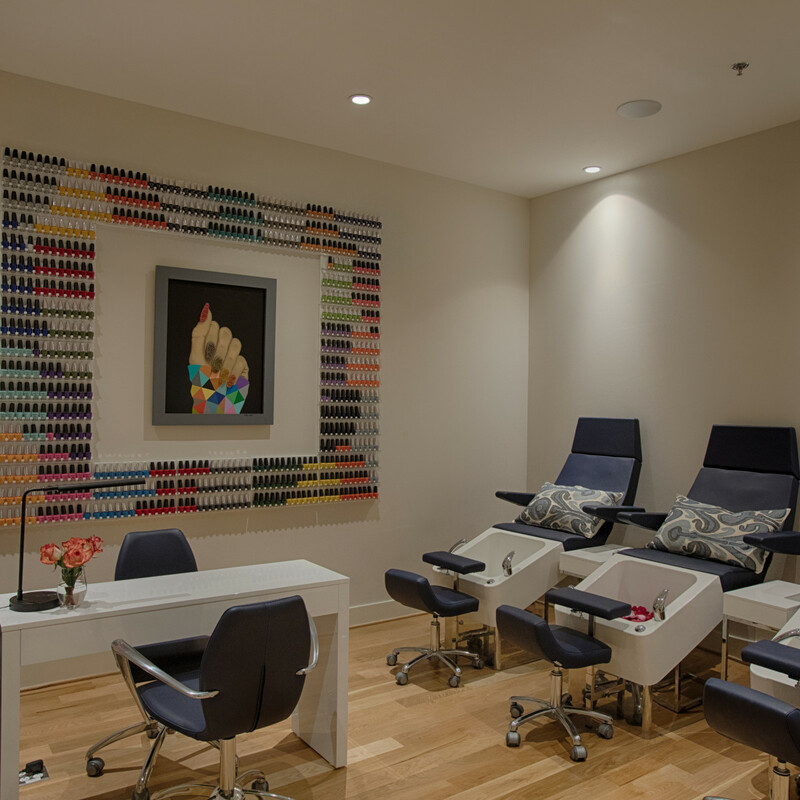 Besides caring about the environment, the salon also cares about its community. 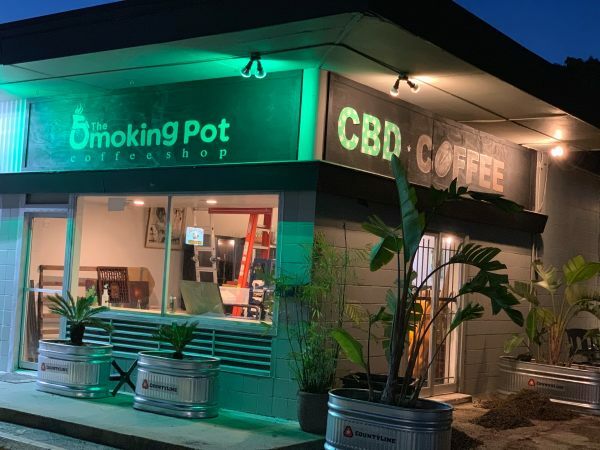 It regularly partners with Wig Out, a Houston-based nonprofit that provides quality wigs, headscarves, and hats to those suffering from the side effects of chemotherapy and other cancer treatments. 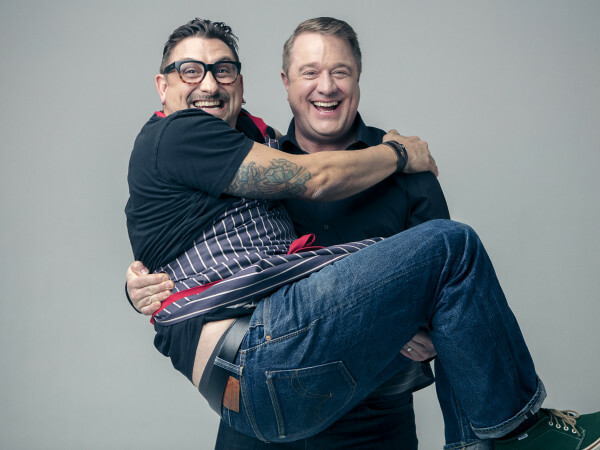 Atelier Isabelle Rose hosts several fundraisers throughout the year to raise both awareness and money. 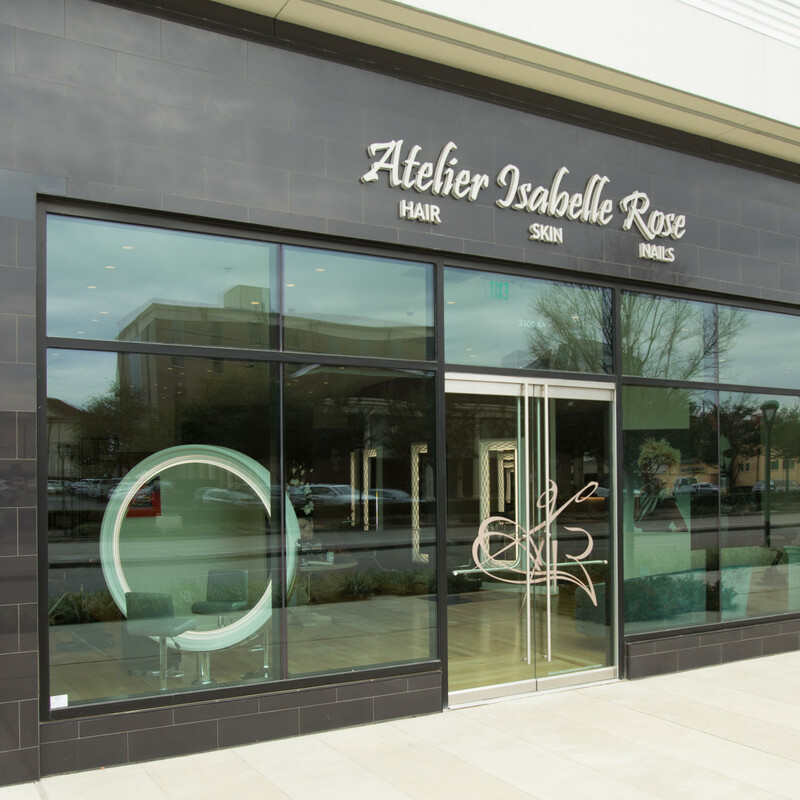 Atelier Isabelle Rose is located at 3300 Kirby Dr., suite 4A. 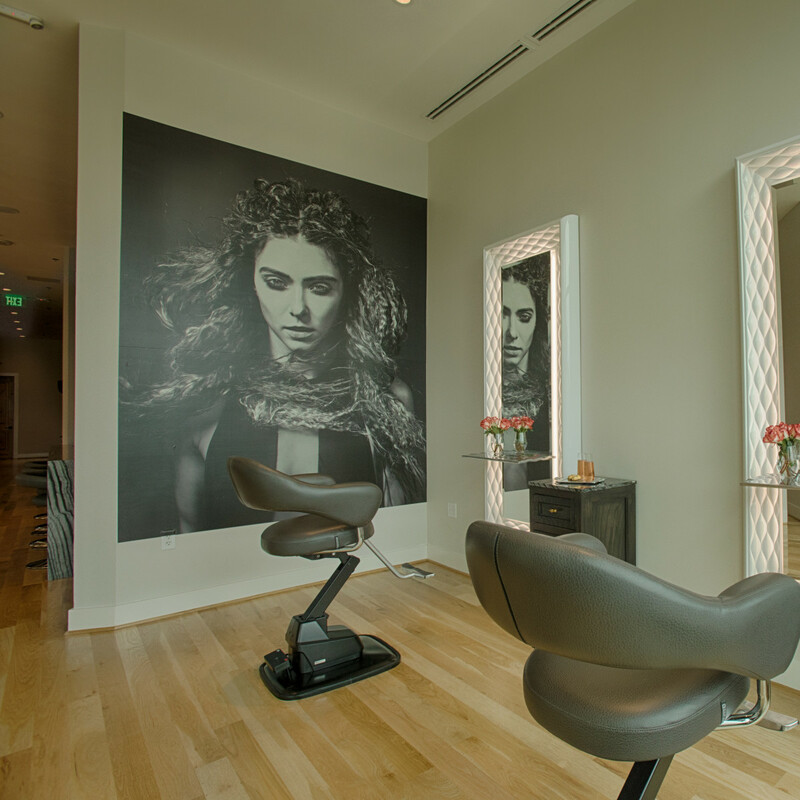 Appointments can be made by calling the concierge at 713-814-4800; the salon is closed on Mondays.